Power plants aren’t what they used to be. Consider a new partnership formed by Siemens and UK startup Pavegen that paves the way for sidewalks to act as power plants for microgrids. Pavegen produces electricity from footsteps by way of interactive flooring tiles. Each step creates the equivalent of 20 seconds of light from an LED bulb. In addition to producing energy, the flooring collects data — heat mapping, population counting and other information for city planners. Siemens and Pavegen plan to bring the electricity-producing flooring to smart city projects worldwide. 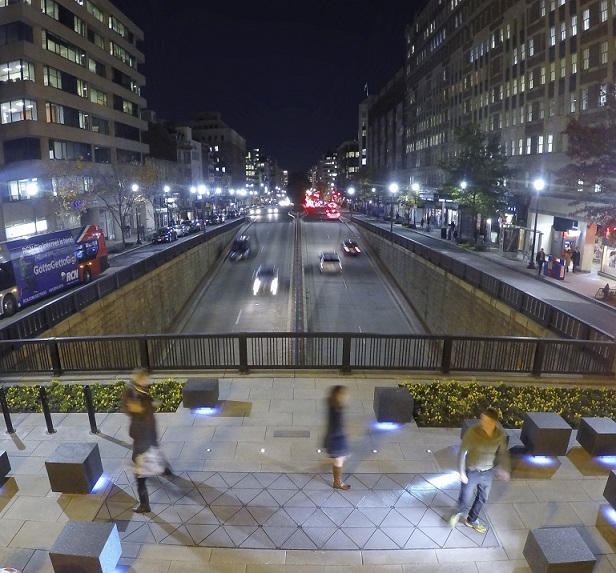 “Pavegen is all about putting people at the heart of smart city infrastructure. Siemens has the skills, resources and network to help us deploy at scale in key locations such as transport hubs and new build developments, said Laurence Kemball-Cook, founder and CEO of Pavegen. The team hopes to integrate the technology into microgrids, as well as airport infrastructure, mixed use developments and hospitals. The flooring looks like interlocking triangles. As people walk on the tiles, the surface moves slightly vertically and the downward force creates a rotation in the electro-magnetic generators below. That produces roughly five watts of continuous off-grid power for the duration of the footstep. The company offers to pay people for walking on their tiles. Via blue tooth technology, cell phones and an app, Pavegen tracks walkers and rewards their activity. The data collected provides city planners with important information about population movement and behavior. Since its founding in 2009, Pavegen and its team of 30 employees has installed the technology in about 200 locations worldwide. These include a park in Dupont Circle, Washington DC; Bloomington High School South, Bloomington, Indiana; and Webster University, St Louis, Missouri. Siemens and Pavegen announced a memorandum of understanding to work together on February 1. “This is an exciting opportunity to combine Siemens’ engineering and project management skills with Pavegen’s innovative technology which connects people directly to energy generation and data collection,” said Jenny Bofinger-Schuster, senior vice president sustainability and cities at Siemens. 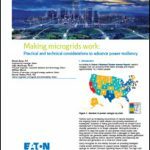 Learn about the latest innovations in microgrid technology at Microgrid 2018, May 7-9 in Chicago.